You can export a 2D/3D survey to a file. The exported survey file contains only the 2D line or IL/CL geometry, depending on the survey type. For more information on exporting 2D data, see Export / Import of 2D Data. In the Control Panel, open the Survey tab. 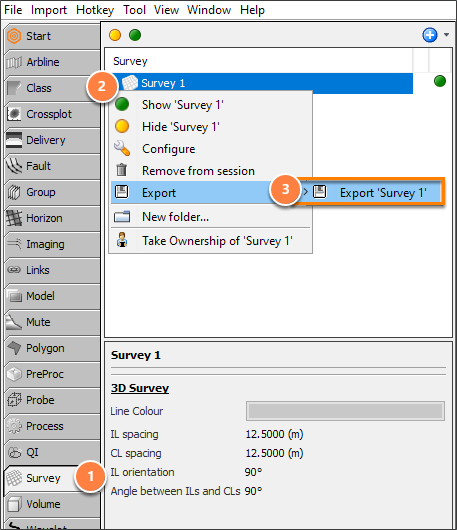 Select the 2D or 3D survey that you want to export. Right-click, select Export and Export 'Survey'. The survey will be exported to a .survey extension file format.